Now Isla must navigate this bewildering and deadly terrain, all while being hunted by a ruthless enemy. In order to survive, she will need to master the ancient arts of her kind — magical gifts of cunning known only to foxes. She must unravel the secrets of fox craft. When I started to read the first three chapters I was really enjoying the book until the one horrible accident that changed the entire story and as I read on I started to feel less absorbed in to the story however, I still want to carry on reading through the series to see what happens next. I personally didn’t like this book like I liked others but I would recommend it to girls and boys who like fox books and are interested in adventures from age 9 up. I really enjoyed reading Clover Moon by Jaqueline Wilson because I always enjoy her books. 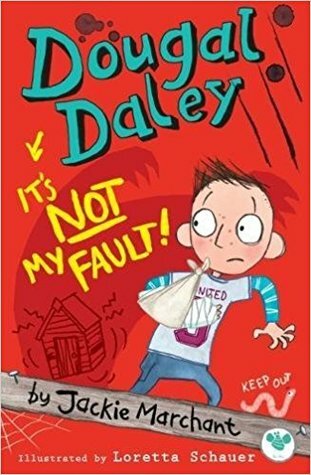 I thought the book was very emotional and funny. I mostly enjoyed reading this book because it doesn’t have any pictures except for one at the beginning of every chapter which lets me use my imagination to make the people in my head by using the description from the book. My favourite character is Clover Moon because she is the bravest, funniest, most adventurous girl and she cares for other people. Clover turns everything into an adventure which makes very easy to like her. If you like Hetty Feather then you will definitely like Clover Moon because they are set in the same place and have some characters in common. I would recommend this book to other girls -from age 9- that are interested in adventures happening in the present, past or future. Clover Moon is a fun, attractive book that drags you in to the story the minute you turn the page. We have three copies of this fabulous sounding book to giveaway to our lovely followers! This is the perfect book for those children who love mysterious books, it’s a graphic novel so it’s also great for those who struggle to read long blocks of text. It’s exciting and thrilling and will keep them turning the page. 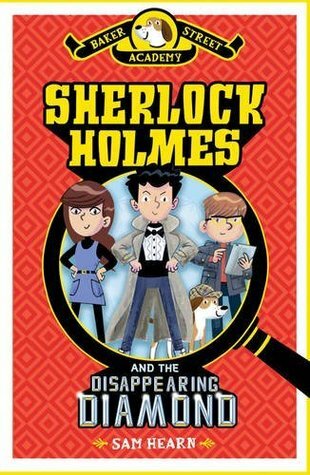 Can they figure it out before the great Sherlock Holmes himself? To enter the giveaway all you need to do is comment below with your favourite mystery book! Winners will be contacted via e-mail and will have 28 days to respond with their address. First up, can you tell us something unique about you? I have no birth certificate. What was your favourite part about writing Shadow Magic? Oh, that changes all the time. This year it was a balcony in Croatia, at night, watching the lights of the boats on the sea. If you could have one fictional character as a best friend, who would you choose and why? Superman. He’s my favourite superhero and I’d like to know how he remains good in such a world. It must be nigh-impossible. Who is your favourite character in Shadow Magic? Gabriel. He’s horrible, selfish, nasty and completely useless. But by the end you sort of feel sorry of him. When you’re in the writing zone, do you have any peculiar habits? (i.e. writing in a dark room, drinking bizarre drinks). I like writing in cafes. I write better when there’s some background activity. Ok, it’s not that odd. The study at home is south-facing, so sometimes during the summer I write with my trousers off. Is that better? The Hobbit. It’s still my favourite book. 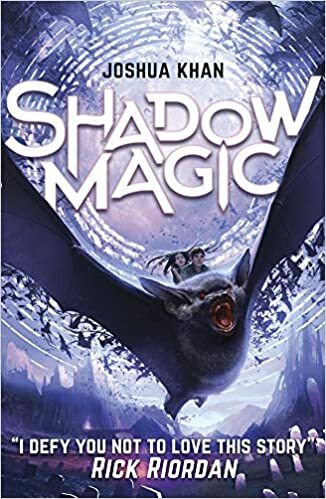 If you had to describe Shadow Magic in a tweet (140 characters) what would you say? Take one princess of darkness. Add an outlaw boy. Shake in some giant vampire bat. Then give them the job of saving the kingdom of undead! Isla’s search for her missing brother, Pirie, has brought her to the vast Wildlands. The forest is a treacherous place for a fox cub, but Isla is talented in foxcraft — ancient arts of cunning known only to her kind. Skilled though she is, Isla’s grasp of foxcraft is still new. And she’s not alone… A cruel and mysterious fox stalks the forest, with the power to enslave others to his will. In order to survive, Isla must learn to trust in the rustic Wildlands foxes. But there are tales of others — a council of Elders who are masters of foxcraft, and who warily guard its most potent secrets. If Isla wishes to master her gifts and find her brother, then the Elders may be her only hope. First things first, can you tell us a little bit about yourself? Perhaps something not many people know? Hello! Hmm, let me think… I was born in Jerusalem but if you go back far enough, the Iserles family was Spanish – and interestingly, that’s where most people guess I’m from on the basis of looks. What else? Not a lot of people know that while I love aubergines in almost every form, I’m scared to touch them because I burned my hand on one as a child. And finally… Although I have an incredibly sweet dog, a Japanese Spitz called Michi, I would never define myself as a “dog person” or a “cat person”. I’m an animal lover and it’s in my DNA. As a child, I appalled my grandmothers by feeding stray cats and nagged my parents for pets of every kind (including hamsters, gerbils, rabbits, cats and a guinea pig). I love all animals really… Yes, even rats. Even snakes. This doesn’t mean I’d invite either into my bed! How different was it writing a sequel? In some ways, writing a sequel is easier as you have already established the parameters of the world – something that requires careful handling in fantasy. One of the challenges is how to recap on the previous book without bogging down the action. I prefer a light touch where possible, with gentle clues and reminders buried in plot-driven sequences. What is your favourite aspect of writing? I usually write in my study. I love the idea of writing in cafes but I’m far too easily distracted. I download playlists for each book but I don’t listen to music while I actually write. I’m a fan of writing retreats when these are feasible, and my favourite bolt hole is a lovely little place on the Suffolk coast, nestled between marshes, woodland and sea. Can you tell us anything exciting about your main protagonist? I found it thrilling to narrate a story through a fox’s perspective. Isla is brave, loyal and stubborn. True to her kind, she is inquisitive – sometimes at her own expense. She takes risks. If you could live in any fictional world, where would you choose to live? Hobbiton in Middle Earth, but only after Sauron has been vanquished! As a young child, I was a fan of Mog, Judith Kerr’s famously forgetful cat. I then became enchanted by Tove Jansson’s Moomin adventures. I still adore all things Moomin! Moving into my teens, my favourite book was Great Expectations by Charles Dickens. Such characters, such a sense of time, of mood. Of jeopardy and hope! Isla’s quest continues. The mysterious Elder Foxes hide deep in the Wildlands. Can they unlock the secret of her brother’s disappearance?